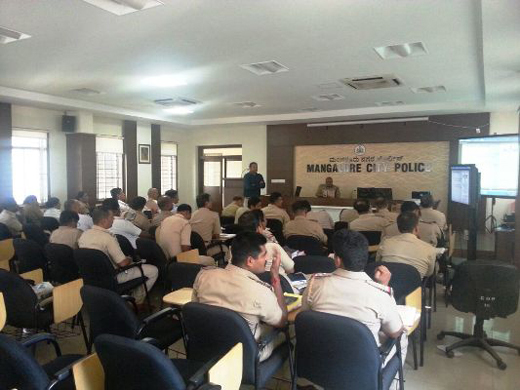 Mangaluru, Feb 22, 2015: As per a press release, Police personnel belonging to all stations of Mangaluru were t trainined to implement smoking ban in public places and other guidelines regarding tobacco control at a workshop organized in the conference hall at the police commissioner’s office. The cops were told to get serious about implementation of Cigarette and Other Tobacco Products Act (COTPA) in the districts. 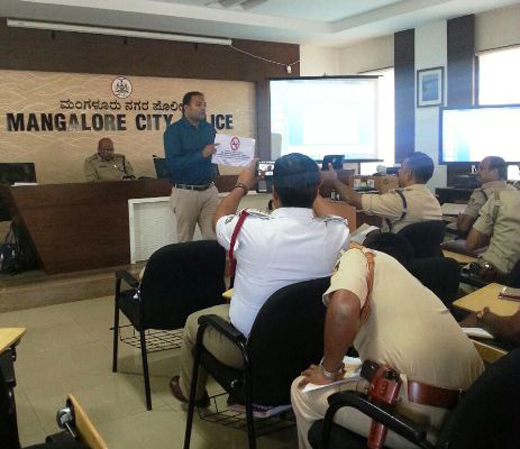 Officer Vishnuvardhan, DCP(crime) addressed the gathering and said tobacco consumption leads to many diseases like cancer and heart problems. "Police have already incorporated COTPA violations in the monthly crime review following instructions from the union government. Police have taken up a novel and crucial role as protectors of health in reducing tobacco consumption with this step," he stated . 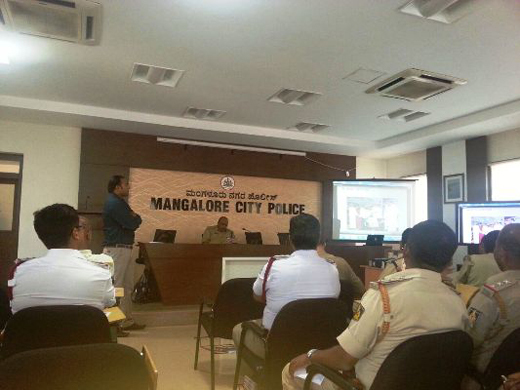 Officer Suresh, DCP (law and order) said the workshop was conducted to highlight the key sections under the COTPA Act. "Cops at the police station level have been strictly told to ensure implementation of smoking ban in public places and prevent sales of tobacco around schools and to children under COTPA. You will see the related action on ground soon," he said. During the programme, the police officials also took a pledge to carry on the tobacco control measures effectively. * Protect minors from selling or buying tobacco, prevent tobacco products from being sold near schools and prevent people from selling tobacco without the statutory warnings. Tobacco is one of the world’s leading causes of death and disability, killing more than 1 million people in India annually. As per the report released by ministry of health and family welfare as well as recent studies, one tobacco related death happens every eight seconds in the country. Karnataka presently has around two crore consumers, one third of who may die a premature death. Taking cognizance of this matter and in order to reduce consumption across the country, the Governments have taken serious steps to implement COTPA. Dr Chandrashekar from IPH was also present at the workshop and shared more details regarding COTPA implementation. The workshop was organized in association with Institute of Public Health, Bengaluru. it is hoped that the excessive sale and consumption of tobacco and it’s products in DK will see a better control soon.